The theatre is most probably built on the site of an earlier Greek theater. It housed 15000 people, and as such was amongst the largest in Anatolia, almost as large as the Aspendos’ one. It dates from the 2nd century AD. 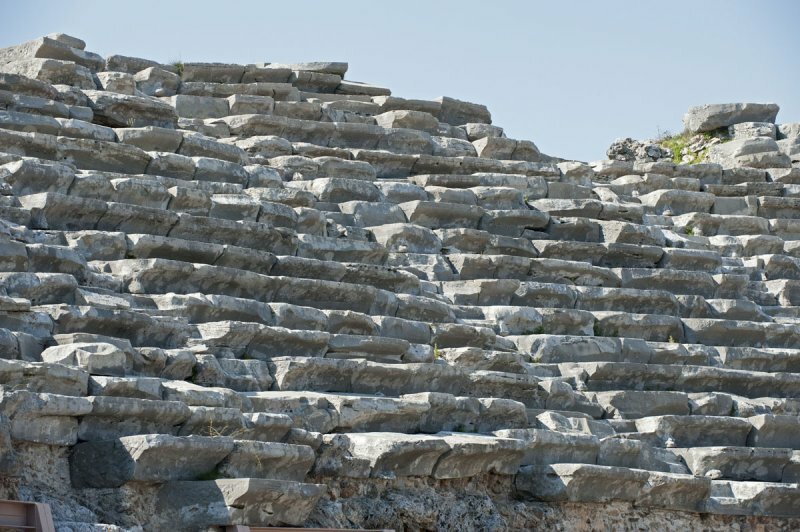 Instead of theatres in other Anatolian cities it was impossible to dig its cave into a hillside so it was built the way we know from theatres in the western Roman empire. Its frieze has been destroyed so systematically that religious motives (of Christians, who later used it for their services) are suspected. A wall in the orchestra was built at a time the theatre was used to house gladiatorial displays.